Marketing is one of the most important aspects of running a business. It is what makes one company successful and highly influential among it’s customers, and poor management of it is what runs another down like a crashing plan. In the real world, only companies that are willing to spend almost 2% of their revenue or 7% of their total budget on marketing are usually very successful. The result is that only the deep pocketed companies can afford to hire an high quality marketing firm for their business, leaving the smaller ones to remain small forever. The advent of the internet changed how the game is played in the real world and small business owners are beginning to see hope of capturing a wider market share. But in doing this they need your help! Yes, I mean you, the SEO company CEO reading this blog post currently. But for these small business owners to reach you, you have to make an effort to set yourself aside from the ‘pack.’ You need to make an effort to change from being a great company to being an outstanding one. I recommend doing the following for you to successfully make your SEO company become one that customers and business owners will be willing to recommend to others. Nothing is more powerful than having your customers recommend your business to others! No matter who your clients are, how busy they are and how less they care about what you do for their business, you need to make the point that you’re not only in for the cash. You can do this by educating your clients on how SEO and internet marketing works. #1. “How did you get to know us?” I think this is the most important question any serious SEO company should always ask their prospects. Knowing how your customers discovered your company will offer you so many benefits, such as optimizing your reach in such areas, but more importantly it will help you discover what they already know about your industry. If a client came to me from an article I blogged on a top industry blog, I’ll know that such clients have learned a lot about my industry and needs little to no educating about how I will contribute to their business. This is unlike a client that comes to you from a banner ad. #2. “What are your expectations?” it’s good to know what your clients are expecting in return from having your company work for them. This will enlighten you on how much they know based on how realistic their response is. In the case whereby their expectations are unrealistic, don’t be afraid to let them know what’s on ground. #3. “What other companies do you know of, why did you choose us?” By asking your prospects what other companies they know of, you will be able to educate them on how your company is unique to the others and what are the things you do differently. This is not the time to bad-mount your competitors (the walls have ears!). By asking your clients the above questions before you send an agreement/proposal to them you will realize how much you have to educate them on what your business is all about. Make your clients understand that if they can do certain things on their own, there’s no need to spend more for your company to do the same for them. This way you’re making them understand that you’re also very transparent, which leads us to the next point. Clients will happily stay with you forever if you are always transparent with them in the way you handle all their transactions. Let them know what you’re doing for them in and out and, in the most possible way you can, speak to them in the simplest form you can. While using your industry jargon in all your conversations with clients can help cement your authority as an expert before then, it also passes an aura of secrecy. Trust me, when your clients realize that you’re making the best efforts to make them understand what is going into making their business a success they will feel more inclined to recommend you to others. Transparency will make your clients stay with you longer (Not forever, because they may develop the skills required to carry on without your help, which is a good thing! If they do, the best ones will even want you to do more of their jobs) because they are happy to do so and not because they are frightened into doing the same. Does this sound cliche? Perhaps that’s because you’ve heard a lot of people use it for different meanings. What I mean by getting your hands dirty might be totally different from what others know it as. In the SEO world, a lot of things change so fast and the methods perceived to be the best today might turn around to hurt your rankings in the wake of a new Google algo update. Be ready to always repair any work you’ve done for your clients in the past without expecting additional payment, if possible. An article on Forbes about leadership reveals that when you have sincere respect for people as a leader you do not see any issue with acknowledging that you are at fault. On most occasions, acknowledging your mistakes on time will lend to a solution-driving agreement and will help you and your clients avoid making situations uncontrollable. As an SEO company, what your clients see in the way you handle issues can cloud their overall judgement of your quality. For instance, if you’re quick to resolve client problems and even go to the extreme of forgiving their outstanding balance because of a fault of yours, clients will easily qualify your company as trustworthy. If you don’t believe this, just give it a try! Being flexible doesn’t mean bending your will every time you’re forced to do so, or adopting every methods that is discussed and tagged “industry changing” but being flexible means going out of your way to try the odds in making your client’s business float above the competition. Many big name SEO companies have preset rules they run their business by, and so it will be harder to bend to make a client that is not achieving the desired success to get a better chance. If you’re running a smaller SEO agency you will have a competitive advantage over bigger SEO companies by offering your clients the flexibility they won’t get when a bigger name SEO works on their account. Nothing makes an SEO agency more redundant than not knowing what is happening in the industry. The best SEO agencies are able to get information about the latest industry revolutions or updates before others. They are the ones working with their clients to make sure their services conform to the latest search algorithms, while working to set new trends instead of following what others created. “Can a small SEO agency like mine have an impact” you ask? The fact is that smaller organizations can easily pretend they are just a team of like-minded people working to achieve one goal, and so they can easily set new trends without knowing it. Unlike bigger SEO agencies, approvals here and approvals there will kill their chance to set new trends. This will bring this article to an end, but you can continue by contributing your points in the comment section. Don’t let anyone hold you back. I am open to constructive criticism, so keep ’em coming :). PS. I am creating an expert interview where powerful SEO experts with RESULTS will share their profound tips on how anyone NEW to SEO can achieve success. I don’t want you to miss this post, so I want you to come back to this blog regularly so that you can be among the first to catch your favorite SEO expert offer their best piece of advice. Hint, Neil Patel will feature on this list :). 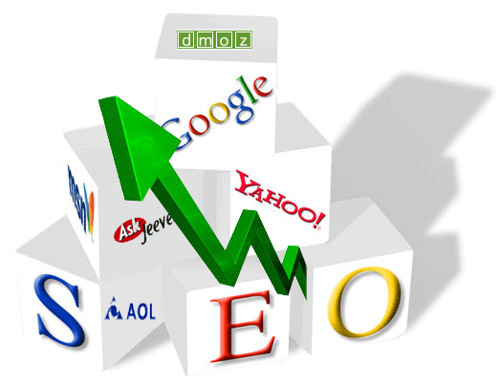 Another good way to set yourself apart is to offer guaranteed SEO services. Most SEO’s are using statements by Google and Rand Fishkin that really don’t apply to OFFERING a guarantee (vs. guaranteeing in the sense of making sure it happens) as an excuse to keep taking money from clients even if what they do doesn’t work. Address this pain point for small businesses that don’t have a lot of money for “experimenting” on marketing and you will set yourself apart.